Alfred, Lord Tennyson was the most successful poet of the Victorian era and his work is still read and loved by many today. He was a remarkable man, who led a remarkable life. 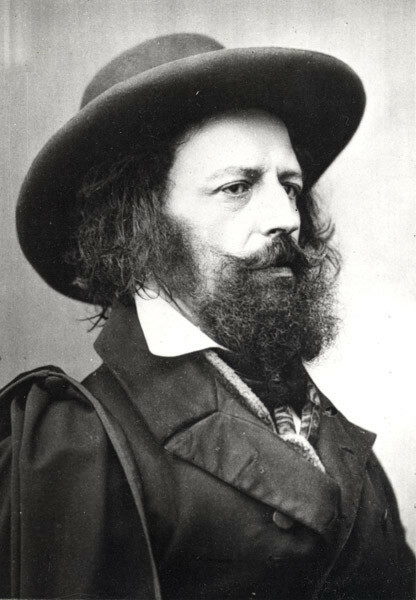 Born in the village of Somersby in the Lincolnshire Wolds in 1809, Tennyson was the third surviving child of Reverend George Clayton and Elizabeth Tennyson. The Tennyson children attended the local village school as well as being taught by their father, at the age of 7 years Tennyson was sent to Louth Grammar School where he spent 4 unhappy years before returning home to again be taught by his father. By 1820, the family home had become crowded, with his parents, six brothers, four sisters and servants as well as various pets. Encouraged to be a free spirit by his mother, Alfred was often seen, book in hand, wandering in the local area at almost any time of day or night composing what would become some of the most recognisable, celebrated and quotable verse in the English language. In April 1827, Tennyson had his first poems printed by Jacksons Booksellers and Printers in Louth (currently the Oxfam shop). Jacksons paid Alfred and his brother Charles £20 for the copyright of the ‘Poems by Two Brothers’ and the brothers spent some of this money on hiring a carriage to ride to Mablethorpe, a favourite holiday destination, and shouted their poetry joyously to the sea. Tennyson went on to be educated Trinity College, Cambridge where he met his dear friend Arthur Henry Hallam who was a huge influence in Alfred’s life. Following the death of his father in 1831, Tennyson returned to Somersby to take responsibility for his family. Tennyson went on to live in various locations across the country and continued his love for writing poetry. When Poet Laureate William Wordsworth died in 1850, Alfred was appointed in his place. Tennyson finally settled in in Farringford on the Isle of White with his wife Emily, but the Lincolnshire Wolds always remained in his heart and continued to be reflected in his much of his work. Alfred, Lord Tennyson died on the 6th October 1892 at the grand age of 83. He was buried in Westmintser Abbey. 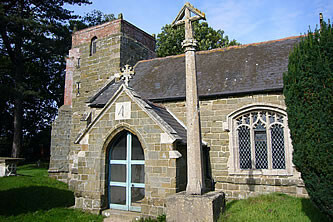 St Margarets Church, Somersby, PE23 4NR.